Papua New Guinea is way behind when it comes to creating revenues internally, and must learn from smaller countries like New Zealand, says National Planning and Monitoring Minister Richard Maru. Minister Maru taking into consideration the plight of resource rich countries with failing economies and also comparing smaller countries with better performing economies, said Papua New Guinea ability to create more revenue internally is poor. 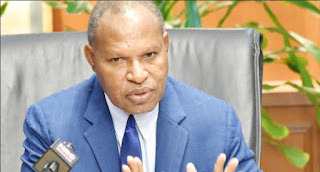 Minister Maru says currently PNG’s internal revenue is eight-billion-kina (K8bn) is not good compared to New Zealand with lesser natural resources, making internal revenue ten times more. He called for good solid input from stakeholders attending the National Planning Consultative Summit in Lae to plot the government’s goals and plans to directly impact the nation’s economy. He appealed to the government departments, state owned enterprises and agencies, and other important government development partners attending the National Planning Consultative Summit in Lae were asked to take ownership of the plans formulated at the event to improve the economy including its internal revenue making ability.